Become a copywriter, and earn money doing what you love - writing! 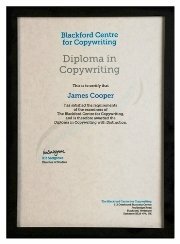 This Diploma course shows you how to write great copy, how to win clients, and how to maximise your earnings. So, what exactly do copywriters do? 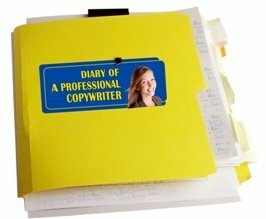 Copywriters write the words for direct mail letters, press ads and TV commercials. They also write web pages, newsletters and brochures. In fact, wherever a company wants to sell something, you'll find a copywriter producing words for it. The pace of change is accelerating. Consumers are demanding more information. And companies are launching more new products. That means organisations are having to renew brochures, write new sales letters, and add more web pages. All this adds up to more opportunities for copywriters. Copywriters are a special breed of people. They're skilled writers. They have an excellent standard of living. Their work is intellectually demanding. And they inhabit a glamorous world. Their work appears in glossy advertisements, in TV jingles and in beautifully produced brochures. (OK, we also produce a lot of ordinary stuff, as well. But we don't tell anyone that). Most copywriters work unseen; and few people know about them. You could be part of that world. "Although I'm already a very motivated person, the course gave me the confidence to 'go it alone'. Three years down the line and I'm still working as a full-time, freelance copywriter. I have a good range of customers and projects. I really enjoy my work and would certainly recommend the Diploma in Copywriting to people looking to pursue this type of career." Copywriters need to condense a client's vague ideas into crisp copy. It's a skill we can nurture in you. You also have to find a way to position a product - to highlight its advantages. That, too, we can teach you. If you can write (or you're prepared to learn), you can be a copywriter. And once you've learnt the secrets, you can write any kind of publicity material. Having a client approve your first piece of copy is a real thrill. And that’s surpassed only by the thrill of receiving their payment. Imagine getting paid for doing what you enjoy. Who knows where it could lead? Perhaps a top award at the glitzy awards ceremony at Monte Carlo or New York? Perhaps a phone call from a top advertising agency boss, offering you a job? "I've recently been offered a full time position as an in house copywriter for a building society and am over the moon. It wouldn't have been possible without all your help and support whilst doing my Diploma so I wanted to say thank you again." "I think the best thing is the voluntarily assignments and I do encourage all students to do them. I have built great relationships with the clients that have come to me via this service, which has lead to me submitting marketing materials for them and then leading on to other things. For example, press releases, direct mail, pitches and concentrating on an overall brand image for an online fashion boutique, has now lead to me reporting at London Fashion Week for another Fashion company." Unlike the world of book writing, there's little competition - because there are few copywriters. A few people work for big city advertising agencies; but most of us work freelance. We tend to do the smaller jobs that the big ad agencies don't want to tackle. They'd charge too much. And they can't respond quickly enough. That's when a freelance copywriter is needed. Many client companies are too small to justify hiring a big agency (because most firms employ fewer than ten people). But they need someone to write press releases or direct mail letters. You can provide that service. And in provincial cities and towns, many advertising agencies rely heavily on freelance copywriters. They don't have enough work to pay specialists full-time, but they need lots of different writers. "I have been so impressed with course. It has been very comprehensive and will certainly stand me in good stead running my own business." Some copywriters like to have just one or two clients. Others like to work all hours of the day and night. As a copywriter, you can earn $70,000 (£40,000). Well, you can earn a whole lot more. The sky's the limit. But a lot of people just want the freedom of working from home. Many copywriters enjoy being around their children. And they get a kick out of being their own boss. We also like working with words. Does that include you? So it doesn't really feel like work. There are very few costs. You need access to a computer, internet connection, and a phone. And that's really all you need. Some copywriters rarely even see clients - the work comes down the telephone or over the net. Virtually every penny you earn is profit. For a limited time, we're offering these benefits (totalling ?1,091) when you register on the course. They all help you become a copywriter. Follow the highs and lows of a professional copywriter's life, as our freelance copywriter reports each week on his experiences in the field. You'll get insights into his day, and learn from his successes and failures. The Diary is available exclusively to our learners. When you set yourself up as a copywriter, you'll need a website, right? But getting a site designed can be time consuming and expensive. And sometimes you don't even get what you hoped for. But register on the course, and you’ll receive a free website design for your copywriting business. The site comes in a choice of five colours, complete with sample text. It will save you a lot of money, weeks of delay and the trial and error that comes with designing a website. For more information, click here to see the free copywriter’s website. 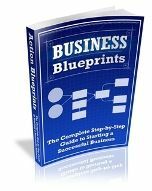 This 47-page eBook contains complete step-by-step checklists for starting a successful business. Our Roadmap (right) shows you step-by-step how to become a copywriter. It comes with instructions for use. The Roadmap is not available anywhere else. "It made everything clear and simple." "I absolutely loved this course and would advise anyone interested in copywriting to enrol." 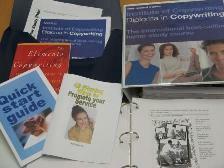 The course is carefully designed to show you how to become a professional copywriter. It's structured to give you the right information when you need it. There is comprehensive documentation and specialist support material. Your assignments will be marked by one of our experienced tutors. It means your work is checked in a friendly and confidential atmosphere before being exposed to the outside world. And you can do the course by e-mail. 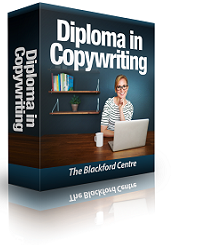 The 'Diploma in Copywriting' course is a complete learning package. It is crammed full of information, tips and exercises. Everything is beautifully packaged to provide you with your own permanent reference library which you can consult long after completing the course. Constructed by copywriting experts, the course distills years of experience, covering every kind of market and all types of publicity. And it incorporates the most common questions and comments made by our students. By taking this course, your success as a copywriter is almost certain. Your course is fully personalised. We carefully mark your assignments, and show you how to improve. We provide advice that you can't get anywhere else, and we give you the encouragement that you need to succeed. The courses are based on the real world. By the end of the course, you'll have met all the main problems that a copywriter encounters. So you won't have any surprises when you face a client. We even have a post-course service to help you get your copy right, and solve the problems you encounter. By getting a rapid response from us, you avoid the danger of errors in those all-important early assignments. You also have two advantages over copywriters who have learnt ‘on the job’. They have rarely been taught the craft in a systematic way (so they’re less professional); and they rarely know the full extent of copywriting (such as how to create brand names). What sort of organisations need copywriting? What should I write: press releases, direct mail, or press ads? How do I learn about the client's product? How do I write a radio commercial? When you enrol on the course, you'll get access to our students virtual Common Room. Here you'll find advice, useful articles about copywriting, and the current versions of the course materials (we regularly update the course materials). 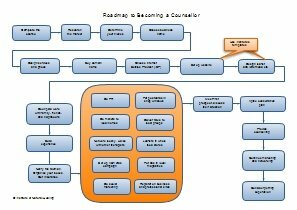 You'll also be able to seek advice from a course advisor. One student was asked to produce two short paragraphs on twelve different kitchen and bathroom ranges. He received £55 (US $90) per range, thus earning £660 (US $1,077) in just one evening. Another course member now provides a monthly press release service for a local firm of lawyers. Every month she receives £750 (US $1,224) for work that takes her less than two days. These are typical of the amazing rewards our students get from copywriting. Click here to read more comments from students. Unlike other organisations, we provide complete coverage of the subject, covering all types of copywriting. Plus, we provide a full service back up. There are 11 assignments for you to complete, and you get a free copywriter's manual, available nowhere else. You’ll have e-mail access to your tutor, who will give you free advice and suggestions on anything to do with copywriting, including your own work. You can contact our course advisors at the Blackford Centre by phone or by e-mail. You can also contact other students, using our student database, to which you can add your details. You get to work on real-world assignments from real clients, which will add material to your portfolio. Because most people are busy these days, you can take as long as you want to complete the course. And if you aren't delighted with the course we offer a 60-day no-quibble refund. 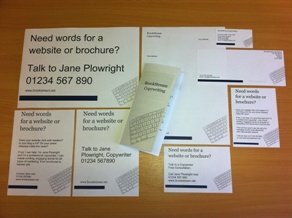 The Blackford Centre's tutors are full-time copywriters, who bring their on-the-job experience to the course. You'll get advice directly from active practitioners - not armchair theorists. They've worked for big advertising agencies, on global accounts and smaller regional ones. They've also worked directly for big-name clients, and for smaller ad agencies in smaller towns and cities - so they understand the needs of low-budget clients. That means you'll get someone who really knows how to help you. You can complete the course in around nine months, depending on your other commitments. Some students do it faster, while others take longer. That's one advantage of distance learning. You can learn at your own speed, not at your teacher's. And there's no time limit on the course. So if you need to be away for six months, you can do so without worrying. Could you become a copywriter? Take our free assessment now. Click here. Students who satisfactorily complete the course are awarded the Diploma in Copywriting. They also receive the Blackford Centre's Diploma certificate. Once you complete the course, you’ll receive your Diploma, which is a recognition of your skills and knowledge. We also send information about your success to your local newspapers. That’s a good way of telling potential clients about your availability. We’ll also put your name on our list of Approved Copywriters. And you can get free logos (like the one on the left) to put on your website and your letterhead. Who enrols on the course? Writers seeking to put their writing skills to good use. They know that copywriting will always be in demand: a computer can't write advertisements and press releases. People in advertising agencies, PR consultancies and client companies who want to know more about the subject. They include copywriters, secretaries, and even accountants. People who want to supplement their income by working from home. Many need to fit their work around other commitments. You'll have learnt the skills of the copywriter's art. You'll know how to create copy for all types of publicity. You'll know how to win business for yourself. Even when the course ends, we can still continue to help you. On completing your final assignment, we'll give you details of how you can get advice and guidance from the Blackford Centre. When you go to see a client, or you have a query, we'll be no further than your phone or email. This is the only worthwhile home-study copywriting course in the world. Let's look at two other courses you could buy. Competitor A. Competitor A has the best-known course on the market. But it gives you only two tutor-marked assignments. Not many people realise that (whereas we provide 11 assignments).The market leader's course is a sales letter course in disguise. If you want to learn only about direct mail, that's fine. But we also teach you how to write web pages, press releases, brochures, and newsletters. That dramatically extends your scope for earning money. Competitor A thinks that copywriting is about 'hard-sell'. They teach you to 'sell, sell, sell'. But if you're marketing a retirement property to an elderly couple, you need a gentle, reassuring sell. Copywriting should have many 'tones of voice'. On the plus side, Competitor A has a great forum. Maybe we ought to have one, too. However, our students can contact each other and share experiences, using the students' database. Competitor B. This course has only five modules. And it doesn't tell you how to set up your own business. The marking is done by academics. This isn't surprising because the course is run by college professors. All our tutors are real-life copywriters who earn their living from writing copy. And we have in-depth advice on setting and marketing your business. For their sake, it's a shame so many people enrol on other courses. But at least you've come to the right place :-). We’ll send you the full course materials within five days - anywhere in the world. When you get the course, read the first module. It’s laid out in an easy-to-follow format. Then do the first assignment. It asks you simply to describe your life, your interests and your aims. Send (or e-mail) it to your tutor for assessment. Your tutor will return it to you with friendly advice and comments. Do the same for the other modules, until you reach the end of the course. By then, you'll probably be earning good money as a copywriter.